I'm not sure though. 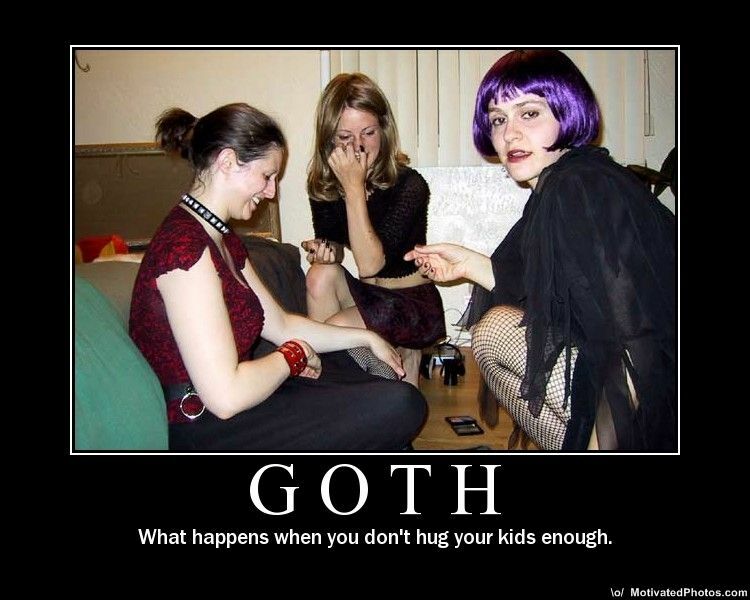 Not all goth kids are weird and you're not weird, but...hum. I'm having a moment. Maybe when it's your turn again I'll have something better. Haha No Amy def fits into the goth kids! She has a dark side to her and usually doesnt like many people so good pick! Badass who got expelled from five different schools within 5 days. Subject: Re: Who were you in High School?